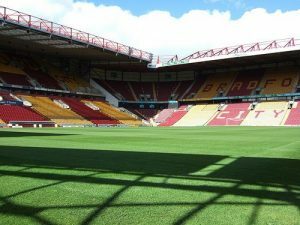 The long-established home of Bradford City A.F.C is Valley Parade, also referred to as the Northern Commercials Stadium due to a three-year deal the club signed with the commercial vehicle retailer ahead of the 2016/17 season. There are a few important milestones in the stadium’s history, which we will detail below. Located in Bradford, West Yorkshire, the all-seater football stadium was built in 1886 and was used only for rugby in its early days. Originally, Valley Parade was a modest wooden stadium and served as the home of Manningham Rugby Football Club until 1903 when the local team made the change to association football and became known as Bradford City FC. A simple construction at first, the stadium went through a huge makeover in 1908 when the football team promoted to the First Division. A well-known football architect, called Archibald Leitch, was hired to rebuild it. After this stage, a moment worth mentioning happened in 1911, when Valley Parade registered its highest attendance of all time. No less than 39,146 fans showed up at the stadium to watch a match between Bradford City and Burnley, an FA Cup quarter-final in which the home side were victorious. No other important changes happened until 1985 when the stadium’s old wooden stand was engulfed in flames and destroyed during a League match. It was a terrible and regrettable disaster in which 56 supporters lost their lives and more than 250 were injured. After that, the ground suffered a complete redevelopment worth £2.6 million and re-opened in December 1986. 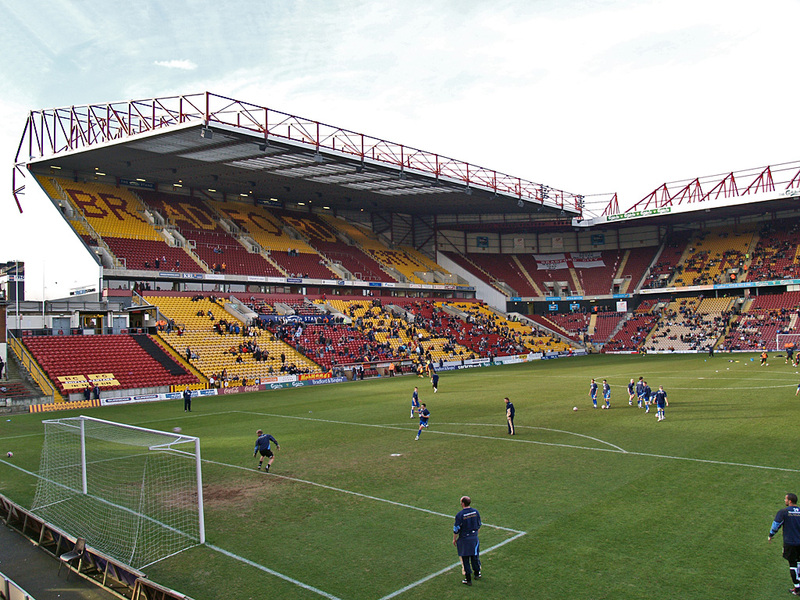 The current capacity of Valley Parade is 25,136 and the pitch size is 113 x 70 yards. The stadium includes five all-seater stands, all of which have different names: the JCT600 Stand, the Kop, the North West Corner, the Midland Road Stand and the TL Dallas Stand. Four of them are two-tiered, are covered and have cantilever structures. Adjacent to the pitch and the stands, there are several other facilities including the club changing rooms, security offices, a club store, ticket office, executive boxes, conference facilities, as well as a club museum in the car park. Key Moments in the History of Bradford City A.F.C.